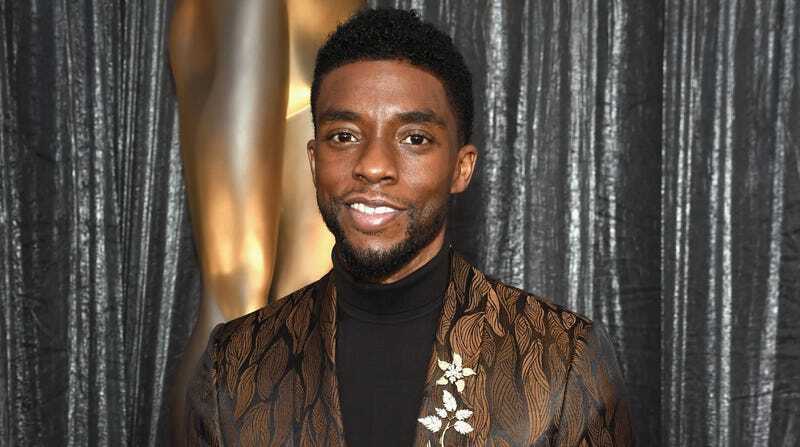 According to Variety, Chadwick Boseman is set to star in Da 5 Bloods, the next joint from Spike Lee—and the director’s first for Netflix, assuming the negotiations for that deal work out. The movie is reportedly about a group of Vietnam veterans who “return to the jungle to find their lost innocence,” with Boseman presumably playing one of those veterans. The film was written by Lee and Kevin Willmott, and Netflix has apparently been pursuing Lee “aggressively” after the success of BlacKkKlansman. That most likely means Netflix is throwing a lot of money at Spike Lee for this, since that’s what Netflix does for every big-name Content Creator it has its eye on. Hopefully, then, this will be one of those Netflix movies that the streaming service actually treats like a big deal (like Roma) instead of just being another thing to dump in people’s queues alongside a bunch of crap (like pretty much every other original movie on Netflix).